Depending on your requirements, you can choose from three levels of Property Inspection packages that we offer for Commercial Properties. For eg: Level 1 though basic, covers all systems specified in RERA's Building Audit Checklist. Level 2 would be appropriate for properties facing specific problems such as structural, MEP, HVAC etc. Our consultants will spend time assessing your needs and advice you on the package that will best match your requirements. Basic level of due diligence; gather information and observations to form an opinion on the likelihood, types and locations of potential issues affecting the condition of a property. will recommend Level II if mojor issues are observed. Interview and review of available records, Site visit and building walkthrough by a single architect or engineer who has experience in all building systems. Property Inspection recommendations and costs spreadsheet showing costs from Years 1 through 5. Higher level of due diligence; comprehensive and thorough investigation by a team of engineers; major building components such as HVAC, roofing and building envelope are Inspected in more detail. Will recommend Level III if major issues are observed. Interview and review of available records, Site visit and building walkthrough by an architect, structural and MEP engineers, each Inspecting building systems of their specialty. Full Property Inspection narrative report with recommendations, costs, photos, plus a spreadsheet showing recommendations and costs from Years 1 through 10. Most comprehensive, specialist for each trade, testing & lab results if necessary. Very detailed reports, test results & OPC. Thorough investigation by a team of engineers and specialists; major building components are Inspected in detail. Such building systems as Structural, HVAC, roofing, building envelope, elevators, ADA, etc. will be Inspected in detail. Site and building walkthrough by an architect, structural, MEP engineers, and other speciality evaluations as needed or requested such as elevators, HVAC, roofing, etc. Non-destructive materials testing can be conducted if required, with lab tests and results included in the Property Inspection report. Full Property Inspection narrative report with recommendations, costs, photos, specialty evaluations, lab test results, recommendations, plus a spreadsheet showing recommendations and costs from Year 1 through 15 or as required by client. This includes inspection of all Fire and Safety systems in the property to assess if all government regulations are being met. SGE conducts pre-handover inspections to assist property owners in determining if they are truly getting what they have paid for. Our expert team are trained and experienced in identifying faults that can be costly to repair once the developer warranty has expired. 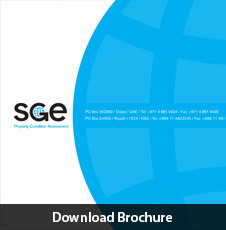 SGE will check the following and will make sure adequate documents are provided: construction has been performed in accordance with approved plans, specifications and local code requirements, snag list of construction deficiencies, as-built drawings, commissioning report and certifications, O&M manuals, utilities connections and operations, building materials warranties, appliances warranties, fire and safety plans. Also, prior to expiry of the developers/contractors warranty period, we conduct a thorough inspection looking at old issues and any new items that may have cropped up. This to ensure the developer pays for any issues before the liability passes on to the property owner. 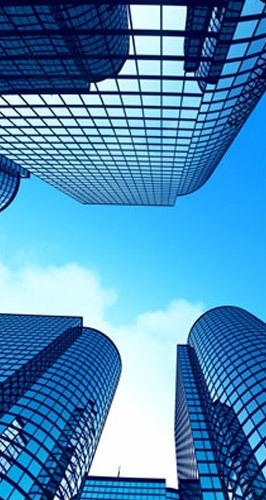 This inspection takes into account the time and due-diligence cost restraints in the very competitive CMBS marketplace and focuses on keeping our client knowledgeably apprised of significant issues that may jeopardize or delay the closing. Our report will not only include a check of all systems detailed in the Commercial Property Inspection but places emphasis on describing physical deficiencies in a manner understood by a potential mortgagee. Equity/Acquisition/Due Diligence Property Inspection Reports are utilized by equity investors or owners to enhance their understanding of a property under consideration during their acquisition due diligence period. 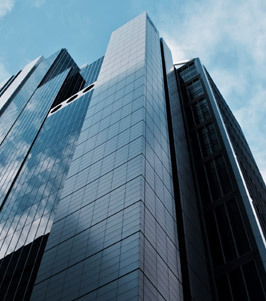 SGE delivers valuable insights about buildings with hidden defects that may not be discerned in a standard property inspection, and helps clients formulate a vision for a successful investment. Sometimes the assets are complex, or the circumstances require exceptional sensitivity and intuition. We meet these challenges with a full team of specialists, far beyond the minimum disciplines required by the ASTM standard. 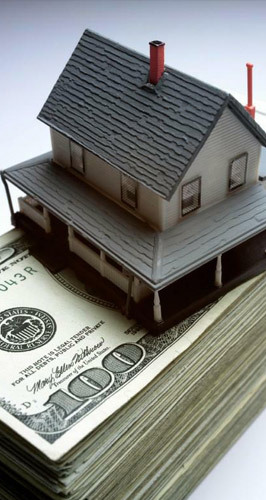 Clients seeking to sell a property are increasingly using disclosure reports to expedite the transaction. Such reports are prepared by SGE for the seller to disclose known physical deficiencies to a potential purchaser. This serves to reduce the buyer's due diligence hurdle by providing a general description of the asset and known physical deficiencies and the seller is able to offer an asset at an established asking price knowing the asset's encumbrances. This eliminates the buyer's opportunity to request a price reduction for physical deficiencies that could later discovered by the buyer's Property Inspection consultant. For long-term net leases, it is prudent to document existing conditions at the onset of the term to establish baseline condition. It is not unusual for landlord/tenant disputes to occur at the end of the lease over discrepancies as to the building's care and maintenance over the term. Often, this results in litigation over the return of security funds. SGE independently and thoroughly documents the property's existing conditions at the onset of the lease. Our unbiased written reports are well documented with video of existing conditions. Similar to an insurance policy, such reports are placed in safekeeping and if needed, they can quickly resolve outstanding issues to avoid costly delays of security and litigation. An SGE Facility Condition is the industry standard for the analysis of the condition of a facility or group of facilities that may vary in terms of age, design, construction methods, and materials. SGE's highly trained team utilizes a combination of walk-through inspection, research and baseline data collection as a basis to survey all systems covered in commercial property inspections. And our deep experience enables our team to know where to look and dig deeper to identify potential issues and provide complete visibility. SGE performs building measurements in accordance with the Building Owners and Managers Association (BOMA) standards, which are accepted internationally. These measurements are very useful to determine the rentable area for new and renewal lease agreements, verify changes in rentable area after remodeling or renovation, evaluate suitability of one space over another and use as a basis for negotiating leases. SGE's Construction Monitoring Service professionals provide decision intelligence for virtually any aspect of a construction—pre-construction, bidding and award, site observation and completion. Our experts examine documentation, analyze budgets and work schedules, investigate compliance requirements, conduct on-site progress checks, prepare disbursements and monitor invoices and draws. Concise, well-organized written reports make "go" and "no go" decisions more fact based thereby enabling better cost control and construction loan monitoring. Our team performs this highly effective quality control practice for a full range of building systems as described in a commercial property inspection. As commissioning practitioners, we're independent of the project designer and contractor. That independence gives us a fresh perspective and allows us to consider design and construction details objectively and pragmatically. Apart from conventional new building commissioning, our practice with existing buildings has given our clients assistance with retro-commissioning and ongoing commissioning. SGE provides comprehensive inspections, surveys and analysis of energy and water consumption. We ensure your energy and water consumption is cost-efficient and environmentally safe. Our services include preliminary and general energy audits and benchmarking. Going Green is a guiding principle on nearly every project today. The reasons are many - improved stewardship of resources, healthy environments, minimum impact on the natural world, reducing costs - but the final decisions about what to do are usually based on what makes the best financial sense. SGE's expertise in Sustainability & LEED (Leadership Energy and Environmental Design) services will enable you to go green without spending a lot of green! From increasing energy savings and water efficiency to reducing CO2 emissions and poor indoor air quality, we will help you develop strategies to improve sustainability on all fronts.